The quality of the finished job depends heavily on the quality of the artwork provided and making sure it is in the correct format. 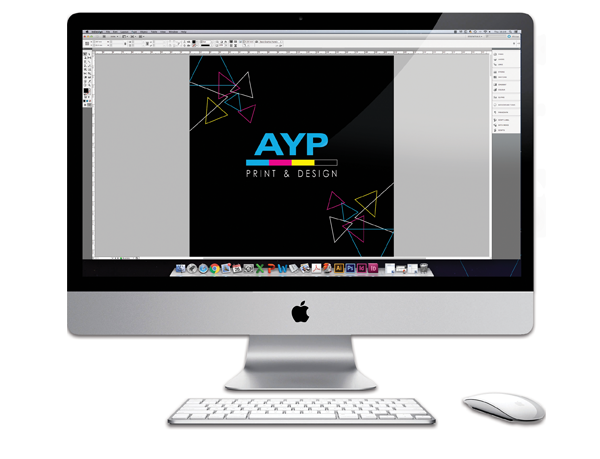 Acceptable formats for supplying artwork; Adobe Photoshop and Adobe InDesign. Please note, Word, Publisher, Powerpoint and Excel are not print ready files If these are supplied, additional work may be required that could incur charges. Bleed is a very important element that needs to be added when you create your artwork. Your design may incorporate images or colours that run off the edge of the page, so these items ‘bleeding’ off the page should be extended to overhang by a minimum of 3mm off each edge. It is also advisable that text and borders be at least 4mm in from the edge of the page. Including bleed on your artwork is essential for finishing and guillotining purposes. It will eliminate any unwanted gaps on the extremes of the document when it is trimmed down to finished size. For the best print quality we recommend you supply all photographs and images at 300dpi at the actual size they are to be printed. If you can only provide images at 72dpi, then they must be at least 4 times the size you want them to appear in your publication. Please supply images as either TIFF, JPEG or EPS files. We are only able to reproduce pictures at the quality that you provide and cannot improve on this. Be aware that lower resolution images can look good quality on screen but may appear blurred when printed. When choosing materials for your project, please keep in mind that ink colours tend to vary on different paper stocks. If you choose off-white paper stock, the ink colours will look different on it when compared to a regular white paper stock. All full colour artwork should be saved in CMYK mode. If you send us RGB files, the colours will shift and your job will not have the same desired colour. 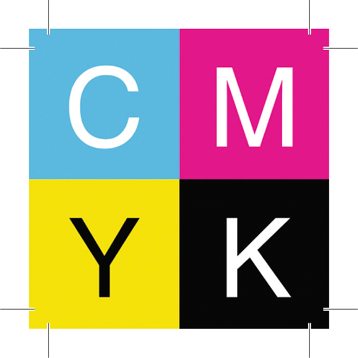 All picture files in your artwork must also be converted to CMYK. 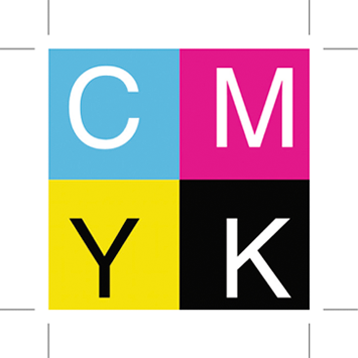 If there are SPOT colours in your full colour file, they will automatically be converted to CMYK. In this instance the spot colours will in some cases look different in CMYK mode. If you are unsure on anything, we are more than happy to help or supply the artwork for you.